One of my favorite blogs to glance at, Twig and Thistle is having an awesome giveaway. You may have heard of something called the Silhouette! That's right Kathleen is giving one lucky reader a chance of having their very own. 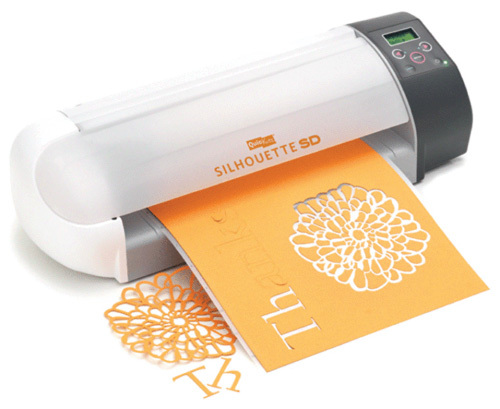 This little digital cutter is full of creative tricks. This has been on my want list and I think probably has just been promoted to a must need. Jot on over and enter!